This was in answer to a detailed question that related to how an aviation business could be run effectively. 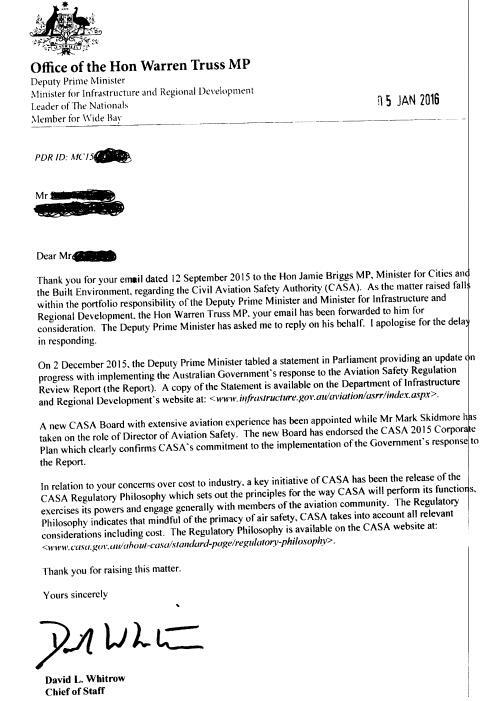 I have serious doubts as to where your regulator, casa is going and the negative impact on aviation in Australia. I know, in conversations with the casa Board Chair, Mr. Jeff Boyd that he is being stymied in the Board’s direction to remedy and develop aviation. How does she stand on the #asrr review? Is she aware of #casa’s breach of Model Litigant provisions? I would appreciate your early response and support to ensure that the Forsyth ASRR reccomendations are implemented without change and reduce the regulatory costs to aviation.